Eu Chooi Yip (1918-1995) was the Secretary of the Malayan Democratic Union (MDU), Singapore’s first political party after the Second World War, and the leader of Singapore’s underground communist movement in the 1950s. 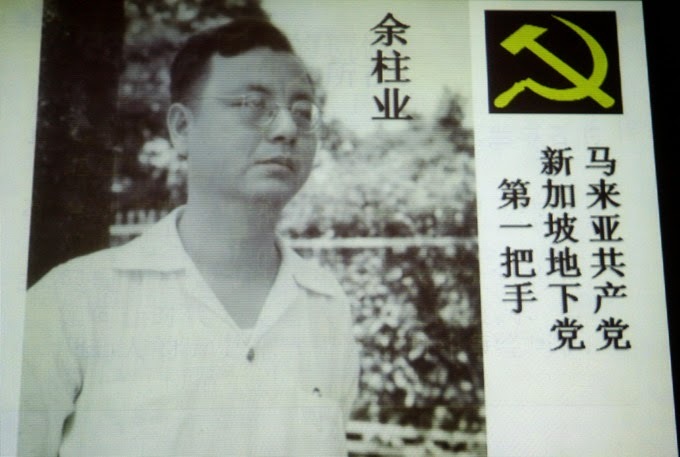 He was the leader of the Communist Party of Malaya in Singapore. He took direct orders from Chin Peng, the secretary-general of MCP, and was the superior of Fang Chuang Pi, aka the Plen. Eu was born in Kuantan, Malaysia and he came to Singapore to attend Victoria School and later Raffles College where he studied economics. Eu came from a poor family, his parents died when he was young and he could only attend college because he won a scholarship. Eu was a brilliant student and was one of the top graduates at Raffles College. He was a close friend of Goh Keng Swee, whom he knew during his Raffles College days. Another close friend was former DPM and Foreign Minister, S Rajaratnam, who was his housemate at Chancery Lane. Rajaratnam helped Chooi Yip to get medical treatment for his tuberculosisand gave him shelter while he was hiding from the British. As a ranked communist he was a wanted man in Singapore and Malaysia. Eu stayed in China for many years and he later sought help from Goh Keng Swee to return to Singapore. In 1991, Eu renounced communism and returned to Singapore. He died in Singapore in 1995. In his own oral history, Eu said that he was indoctrinated by leftist thought and Marxism under the influence of his elder sister, who was herself a leftist and was involved in student activism. At the age of 13, he was arrested by the colonial police for participating in an anti-imperialist march organised by the underground movement. Overseas Chinese were indignant with Western powers as China in the 1930s was severely crippled by colonial powers. His teachers also played an important role in shaping his outlook, many of them were leftist-communist and they inspired Eu with stories of revolution, injustices to the Chinese, Mao Zedong etc. You can listen to reel 1 of Eu Chooi Yip oral history in Chinese here. You can read reel 1 of Eu Chooi Yip oral history in Chinese here. Eu: I consider myself to be a little of a leftist since young. I had an older sister, who came to Singapore from 1927 to 1930 and studied at Nan Hua Girls' School (became known later as Zhong Hua Girls' School). My sister participated in underground activities - the past student movements. As a result of the school activist movement, she was sacked and went back to Kuantan. Before 1929, 1930, I was 11/12 years old but precocious, my older sister often chatted with me about politics. She was merely 5 years older than me (16/17 years old) and constantly talked about politics, thus, since young, I was able to absorb anti-imperialist ideologies. China was also undergoing a period of turmoil at that time, every year there was 'The Day of Infamy', 'Jinan Massacre', and I was often affected by such events. The adults frequently talked about national affairs, the Japanese Occupation, how detestable the 'Ang Mohs' were etc. Eu: Some of my teachers at Yang Zheng (Yeung Ching) were organizing anti-Japanese activities. When an artist called Gu Feng was arrested, I was infuriated. While I was studying and under the influence of my older sister, a member of the underground Singapore Students' Anti-British League came to find me and I was further influenced, reading the newspapers etc. That year was 1931 when I was only 13 years old. I matured earlier and was interested in such things, thus, I went to the book stores often. After school, I would go to Shanghai Bookshop or a new book store at Cross Street to read up which resulted in me being attracted to leftist ideology. Interviewer: The underground student union, what was the organization like in the 1930s? It consists of some Chinese primary and secondary schools from all over Singapore? Eu: Probably not so formal, not like the later Chinese School Union (1955), I guess it was started by some teachers, we were too young and did not know much. At that time, I got into contact with one student who came from Bangka (?) to study English in Singapore. He was a Hakka, and through him, I joined the underground student union. Every week there would be a meeting at Mount Emily, under a tree beside the swimming pool and the people who led the meeting would be students from Hwa Chong. That was how I came into contact with them, every week after class, I did not take my studies seriously; after class I would spend time with them, listening to their stories, going to book stores, read books, chat, in actual fact, there wasn't many activities, but this was how I got to know them, then later on something happened. Eu: That year was 1931, 32. After I studied for about a year or so. One day, the underground organization organized a demonstration. This took place in 1932, probably 1st of August, on a day called 'Anti-Imperialist Day', not sure which day? It happened so long ago, I can't remember clearly. On that night, they asked us to participate. I was young and curious, thus I really went to participate. Around 7-8pm, a group of us walked together, but the police were aware of this and all of a sudden, they came to arrest us. Eu: At the intersection between Victoria Street and Arab Street. In the past, roughly 50 , 60 years ago, there was a Japanese hospital there. At the beginning, while walking, we started singing as well. We formed a procession, not that many people, around 20/30. The police arrived in their black cars and I was arrested. I was just a child then, around 13 years old, luckily I was still a kid. Eu: I was brought to the Criminal Investigation Department (CID) and was interrogated. Around 5-6 people were arrested along with me. Once we were brought in, the 'Ang Moh Big Dog' (Caucasian Senior Officer) started questioning us, those Hainanese (who were older), were beaten by him. We just stood there and he treated us as little children. He asked me and I pretended that I did not know anything. I replied in Cantonese saying that I did not know why I was arrested and claimed that I was arrested by mistake. However, I was still taken to an old prison in Outram Road and was placed under detention. Interviewer: Was there any teacher from Yang Zheng school that left a deep impression on you? Eu: There was a teacher called Wang Si Liang. There were many leftist teachers back then but he stood out. During class he would talk about Marx's historical materialism, we didn't really understood everything, but we would buy some books to flip around. The main things we talked about were patriotism towards China, anti-Japanese movement and Marxism...but it was very superficial. We knew there was the revolution, that imperial powers were evil, we had to crush imperialism, these were the main points. Interviewer: After you came back from Kuantan, did the underground student union re-established their contact with you? Eu: No, there was no contact. When I got into Victoria School, there was none. At that time, I was trying very hard to study English and did not read that many Chinese books. Most of the friends that I made spoke English.When I entered university, things changed. At that time, it was 1937 and the resistance had just begun. The whole of Singapore was excited and particularly interested in the domestic situation. At that time, there were a few teachers from Kuantan; one named Liu Xi Wen (from Jiangxi) who taught arts and music. He was a little of a leftist. Liu's younger brother was named Liu Kai Lin and Liu also had a cousin named Liu Dao Nan who used to teach at Nan Zhong. All of them were from Jiangxi and considered themselves to be leftists. Since young, I was influenced by them and they let me read those so-called 'progressive books'. I was very close with these teachers and often listened to their stories (revolving around their life in China). From 1925 to 27 (the time of the Chinese Revolution), they participated in these movements and some of them were also part of the revolutionary army. They talked about the stories of the revolution, of Guo Moruo and Mao Ze Dong, thus, I grew up listening to such stories. Interviewer: At that time, was there any mention of the Communist Party of Malaya? Eu: I knew of the Communist Party of Malaya. At that time, the Communist Party of Malaya, 1927..1928..1929.. they had activities at small places. They organized night studies etc... there were people who viewed the Communist Party as the Hainan Communist Party. There were larger numbers of foreign workers and workers from the coffee shops; most of the participants were Hainanese, in the earlier days, there were fewer Cantonese and Hokkien people. After the resistance, there were more Hokkien people (who joined). Interviewer: After you came to Singapore, that underground student union.. at that time you were still young but were you aware of what went on behind..
Interviewer: Could it (the underground student union) be related to the Communist Party of Malaya? Eu: That was started by the Communist Party of Malaya. Interviewer: It was already known then? Eu: Yes. It had a few underground organizations, one of it was the anti-imperialist league, the other was the student union. I had heard of these two. 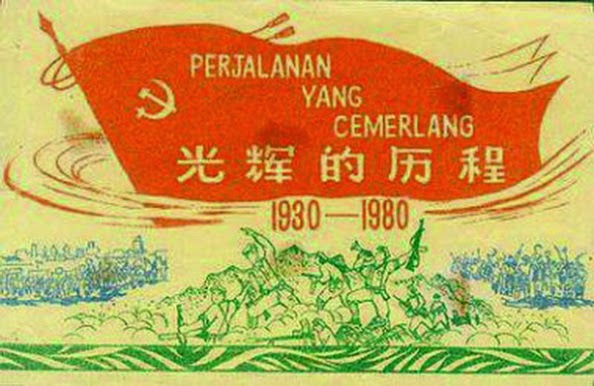 At that time, the Communist Party of Malaya had just started. The Communist Party of Malaya was officially established in 1930. 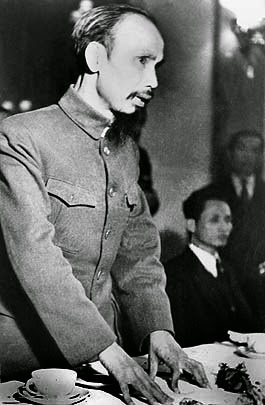 Ho Chi Minh came to Malaysia to attend the official ceremony marking the formation of the Communist Party of Malaya.